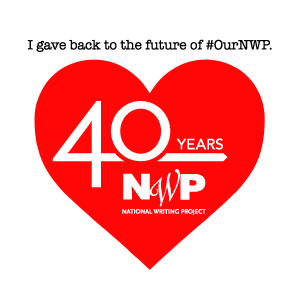 It seems perfect that this month that includes the National Day on Writing and Connected Educators’ Month is also the time when we have ventured into teaching coding to our students (and ourselves). My teaching partner and I talked about doing this last year during our 1:1 iPad pilot…but were thwarted by the fact that Scratch requires flash and won’t work on our iPads. We had even thought about it the year before, that but 30 minutes of computer time per week just didn’t seem adequate. So to push myself to realize this goal of coding with my students, I have been telling people that I want to do this. I know myself enough to know that if I don’t make my goals public, somehow it is easier to push them aside when they feel “hard.” And In our school district this year we have a new Educational Technology teacher. A credentialed teacher who was hired specifically to help teachers integrate technology into their teaching–in addition to the tech people in our district who help when our technology isn’t working. I mentioned our desire to teach our students to code in an introductory meeting with the Ed Tech teacher before school began…and he was interested and excited about the prospect. And so last week he ventured into our classroom at a perfect time to talk…and pinned me down on getting started with coding. 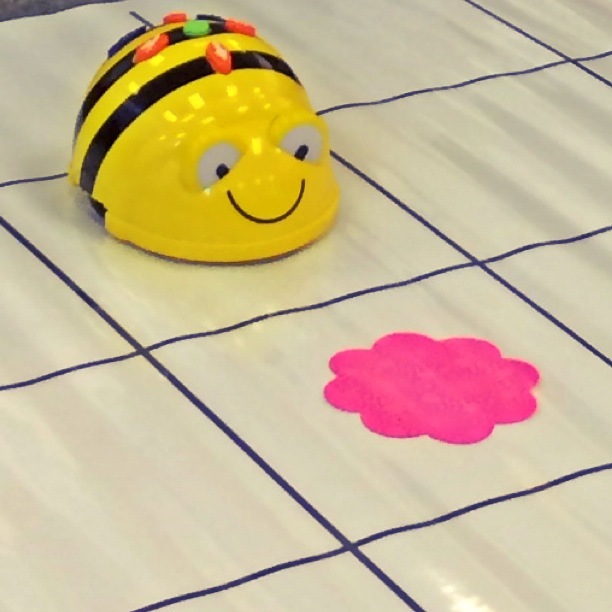 He would come in and get students started–using the Beebot I had purchased at the end of the summer and the Hopscotch app he had learned about. I love the way the simple, mechanical Beebot illustrates the basics of programming. And I love that it also demonstrates how easy it is to have mistakes in your code, and the need to problem solve and “debug” through repeated trials and iteration. 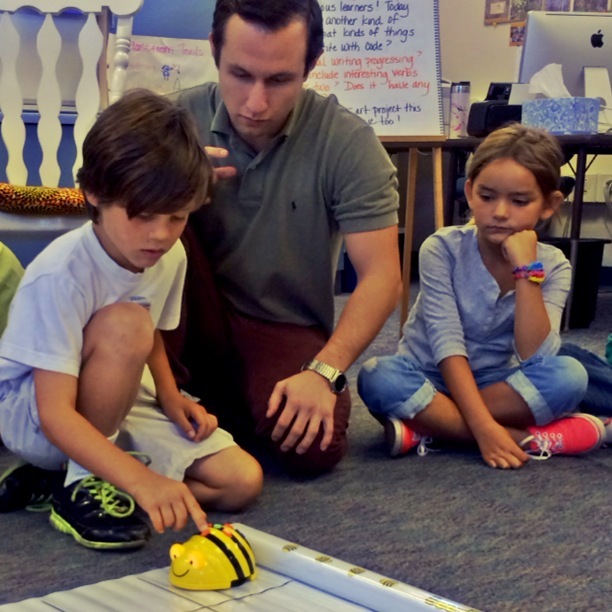 My students were quick to understand the basics and very interested in the Beebot. First graders could easily explain their thinking–and could figure out where they had made mistakes (older kids could too, and made mistakes too!). After exploring how to make Beebot move, we turned to our iPads and opened Hopscotch. 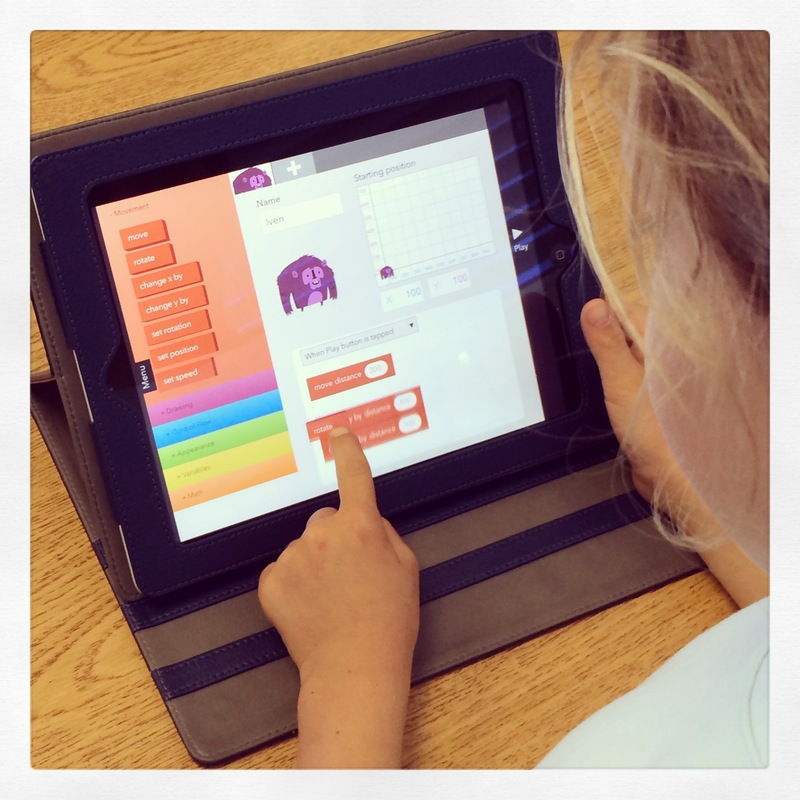 Similar to Scratch, Hopscotch uses interlocking blocks to make the characters move. After trying a few moves in common and learning to make their character spin, we set students loose to explore the possibilities. And they began to “write” their own code! We gave students the opportunity to share cool things they had figured out with all of us…and promised that we would give them more time to explore this app and create more code. I don’t know any more about coding at this point than my students do, so we will continue to learn together. And I think I am as excited about learning to code as they are. I’m glad our Ed Tech teacher pushed us to set a date to start to work on coding with our students…and I’m glad he was there to get us started. His checking in on our progress will also be an incentive to continue this with our students. 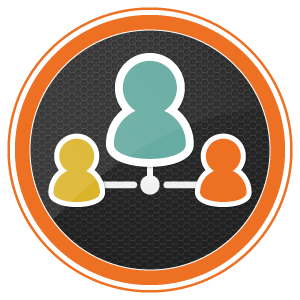 I have tons more to learn…but who better to learn it with than our students? This entry was posted in Connected Learning, digital tools, making and tagged beebot, coding, connected learning, hopscotch, learning, National Day on Writing on October 15, 2013 by kd0602. Cool! I will follow your progress and might just decide to jump in and give it a try with a group of students. Very cool! Will be interested to see what they will do!